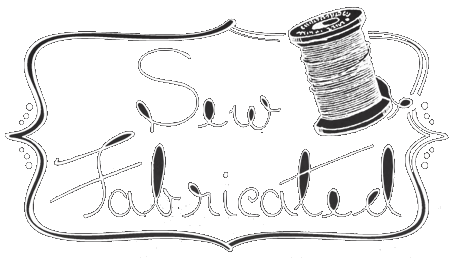 Hello Sew Fab Tribe! We are headed into the third and final week of our store-wide closing sale here at Sew Fabricated. We’d like to thank each of you for stopping by with lots of hugs and well-wishes. We will miss each of you! Also, thank you for your patience while shopping. We’ve tried very hard to make your visits comfortable and pleasant. Further discounts will be taken this final week of the sale. Please stop by for some incredible savings on yardage, notions, patterns, books, and more. Look through your current projects and see what else you may need to finish those off. Maybe backing or binding? Or, maybe some goodies to start new projects? These prices will be great, so this is a wonderful time to stock up! We’ll be open regular hours this week: Tuesday-Friday 10:00 am – 6:00 pm, and Saturday 10:00 am – 5:00 pm. Don’t forget, you will receive a prize drawing ticket for every pre-tax $25 you spend. Names will be drawn at the end of our last day on Saturday, April 27th. You do not need to be present to win. We have 20 different prizes to draw for that collectively add up to a value of $1,000! Any current gift cards and customer credit balances may be used for purchases through the last day of business on Saturday, April 27, 2019. Any remaining gift card balances or customer credit balances not used during the sale will be forfeited after our last day of business. Customer rewards will not be accrued during our sale. Some fixtures, furniture, and equipment will also be offered for sale after April 27th. If you are interested in something in particular, please email us at info@sewfabricated.com with the subject line of “fixtures”. The longarm machines, Glide thread, and batting will not be sold. The Babylock Molly machines are also not for sale. They belong to Arlington Sewing Machine who has been very generous to allow us the use of the machines here at the shop. If you enjoyed the Molly machines, stop by ASM and they will be happy to pair you up with the perfect sewing machine!